During the close season there was a divide amongst Charlton fans. On one side, there was optimism. The feeling that a new season with new personnel could culminate in a successful season. On the other was the feeling that all the new arrivals, coupled with a new manager, may see Charlton take time to adapt in what is a notoriously tough division. As the season enters October even those who sided with the former view could not have dreamt for a better start – Charlton sit in 6th position in the table, and are yet to lose a league game – Tuesday night’s memorable victory over league leaders Norwich City stretched their unbeaten run in the league to ten matches. 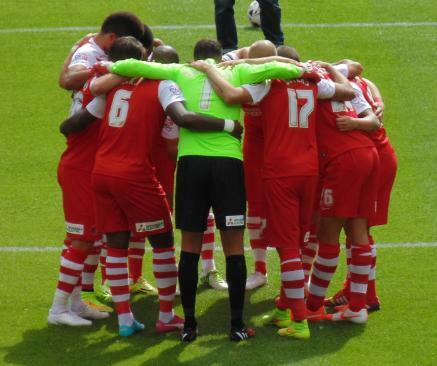 Next on the agenda is the visit of Lee Clark’s Birmingham City side on Saturday into SE7. The Blues escaped the drop by the skin of their teeth last season, and although a plethora of new faces have arrived at St Andrews this summer, to say they’ve not gelled as well as Charlton’s is an understatement – their 3-1 victory at Millwall on Tuesday was only their second of the season. Given some of the challenges Peeters and his side have overcome this season, it’s reasonable to be confident about the Addicks gaining three more points on Saturday, but as you hear all too often – there isn’t an easy game in this division. 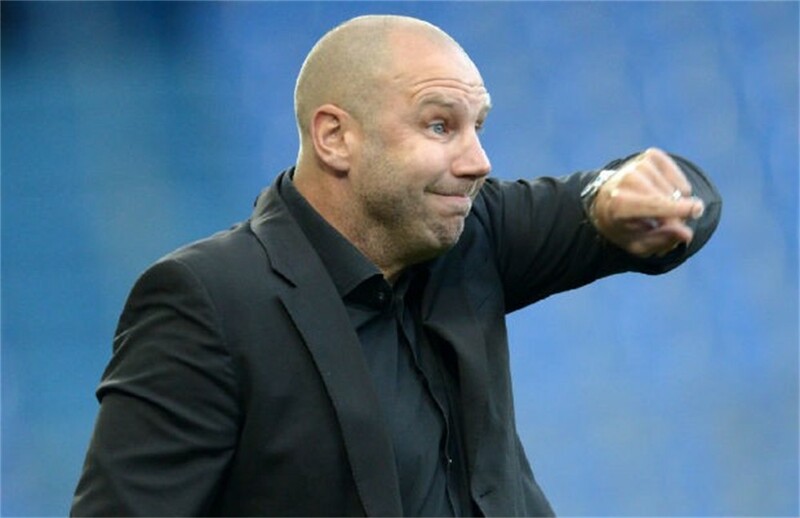 Charlton head coach Bob Peeters couldn’t hide his delight following Tuesday’s emphatic win in Norfolk, and was quick to praise the efforts of his players and their remarkable start to the season. “If you play away at Norwich, a team that wins four games in a row, and one that calls itself one of the favourites to win promotion then it is a good result to win it 1-0” said the manager. 17 year-old striker Karlan Ahearne-Grant made his senior debut in the final few minutes of the contest, and after the game Peeters emphasised his willingness to continue to deploy younger players throughout the season. “I’ve always said that when I came here, that whether they are 16 or 17, I will play them. 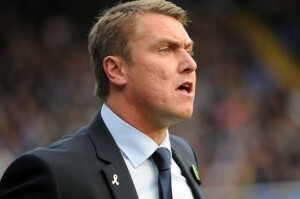 Lee Clark’s Blues have stuttered in their start to the new campaign, managing just two wins in ten matches so far. Home defeats to Sheffield Wednesday and Fulham, combined with equally disappointing losses at Middlesbrough and Wigan see the side languishing in 20th position in the SkyBet Championship table. Birmingham’s wins have come at home to Brighton & Hove Albion, and at The Den on Tuesday night, with a 3-1 win over Millwall – a ground they always seem to do well at. The win in midweek ended a run of seven matches without a win, as goals from Clayton Donaldson, David Cotterill and Wes Thomas ensured the Midlands side ran out winners. After the game, manager Lee Clark keenly praised the defensive performance of his side after some tough recent set-backs – the Blues have become notorious for throwing away points after being ahead in matches. “We should be at the other end of the table but our issue this season has been the last 30 minutes in games. We’ve given away 11 points from winning positions. If we had taken even half of those points dropped from winning positions we’d be in the top 10 and everyone would be talking positively about us. The sides shared the spoils after their two meetings in the league last term, with away victories on both occasions. Chris Powell’s Charlton picked up a vital 1-0 away win at St Andrews in November 2013 thanks to a second half Dale Stephens strike. Then, the reverse fixture at The Valley in February earlier this year saw Birmingham come out 2-0 victors thanks to a brace from on-loan Manchester United forward Federico Macheda. The two most notable absentees for the hosts will be the duo of Johann Gudmundsson and Tal Ben Haim. The Icelandic winger sustained a twisted knee following a seemingly innocuous challenge against Middlesbrough last Saturday, whilst towering centre back Ben Haim will be absent from the side as he celebrates a Jewish holiday. Michael Morrison should replace Ben Haim in the centre of defence, and after being rested on Tuesday I’d like to think Chris Solly will return to the fray for the match on Saturday. Ahead of them, there doesn’t seem to be any immediate reason to tinker with the midfield that performed so admirably with the captain and matchwinner at the heart in the centre. Frederic Bulot seems somewhat of an enigma, and it will be interesting to see if he’s deployed in behind Igor Vetokele in a 4-4-1-1 formation, or whether Peeters opts to position him on the wing – which would allow Cousins to take up his more natural role in the centre of midfield. There’s a buoyant and untouchable feeling around The Valley at the moment, and following our stunning start, people are beginning to sit up and take notice – and rightly so. With this added interest comes greater pressure, but as we saw on Tuesday night, it seems this group of players and manager are more than capable of putting in performances and getting results in even the most difficult of circumstances when the chips are down. To say that Saturday’s fixture provides an ‘easier’ test than recent assignments is a dangerous assumption to make – we proved ourselves in midweek that no side should take anything for granted in this league. However, it’s reasonable to hope that given our current form and the plight of our visitors, that we’ll get the job done on Saturday. I’ll predict a 2-0 win – with Vetokele to net a brace and get himself back on the goal trail.